The Drive's latest homestand begins on Tuesday as the Drive team up with the March of Dimes for a special night. First pitch is at 7:05 PM, and the Drive will be celebrating the daily efforts of the March of Dimes to "Go to Bat for Babies." 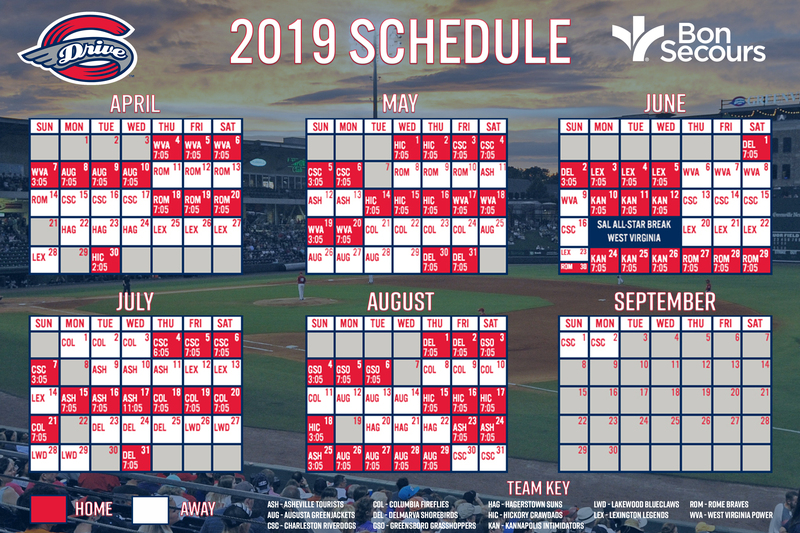 All March of Dimes attendees will take part in a picnic in The Iron Yard 500 Club when gates open at 6:00, and March of Dimes kids will be recognized with a pregame parade around Fluor Field as well as during in-game entertainment. Come celebrate the hard work of the March of Dimes and the children who have received their support! To purchase tickets, stop by the Main Street Box Office, call (864) 240-4528 or CLICK HERE.